In 1776, Americans adopted the Declaration of Independence, which stated that "all men are created equal." Yet, in 1860, four million people lived under slavery in the United States. Every year, as many as 1500 of these African Americans, at great risk to themselves, headed north toward freedom on what became known as the underground railroad. In New York State, Syracuse became the "great central depot" on this Freedom Trail. African Americans lived with the Onondaga Nation as early as the 1770s. 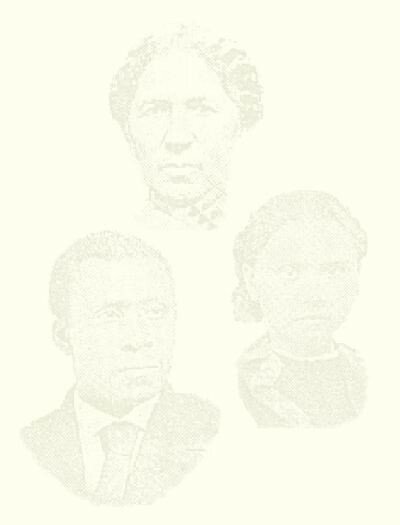 After the Revolution, one African American veteran, Henry Bakeman, settled with his extensive family in central New York, and many of his children bought homes in the Town of Onondaga. 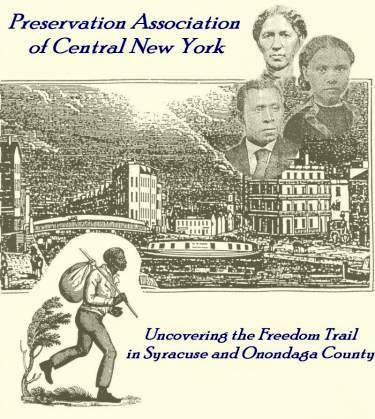 Many other African Americans came to Onondaga County in slavery or as free people of color from eastern New York State. They and their descendents often remained in the county and formed the basis of a growing African American community. After New York State finally abolished slavery in 1827, many freedom seekers came directly from southern states, traveling west from Albany or north from Pennsylvania, headed to Canada. Many settled locally, attracted by expanding economic opportunities and relative safety. By 1850, 670 African Americans lived in Onondaga County, concentrated in the City of Syracuse and the Towns of Onondaga and Elbridge. In the late 1830s, abolitionists began to organize effectively across the Northeast. Centered in abolitionist churches and political parties, abolitionism cut across lines of race, gender, and class. Both African American communities and abolitionist activism sustained increasing work on the underground railroad. In 1850, the federal government passed the Fugitive Slave Act, which mandated that federal officials assist slave-catchers. Local abolitionists, both African American and European American, successfully challenged this Act when they rescued William "Jerry" Henry in October 1851. Many local freedom seekers, fearing recapture, left for Canada in the early 1850s. The population of African Americans in Onondaga County dropped by one-third from 1850 to 1855. By the mid-1850s, however, some of them returned to local homes and families. When the Civil War began, both European Americans and African Americans from central New York fought in the conflict, and some of them died. Freedom seekers continued to come from the South during the war to settle in central New York. After the war, African Americans celebrated passage of the Fifteenth Amendment, giving all adult men the right to vote.